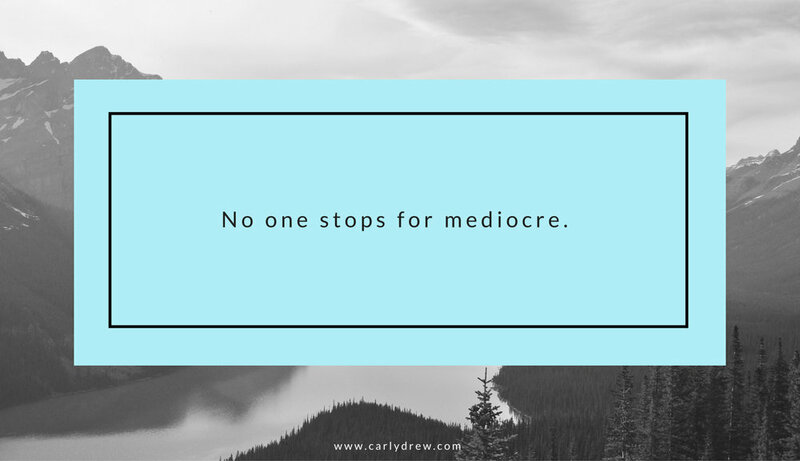 Over the past few semesters I've witnessed a troubling trend - students are becoming ok with mediocre. And I'm not just talking about ones taking the class to fill an elective, it's students that are interested in pursuing the subject as a concentration. It's what they want to do, it's what they have a passion for, but they're missing one crucial component to be successful as a creative: drive. To make it in a creative field you have to be self-motivated enough to be the hardest worker in the room and do this you need to have something that keeps you going through 12+ hours on the meticulous elements of a project or problem-solving issues. For many artists and designers a large part of that drive comes from making our vision a reality and the feeling of gratification that comes after finally seeing our ideas come to fruition after a very long, laborious process is extremely rewarding. Sadly most students don't really get to experience this and I'm seeing less and less of that drive in the classroom. The ideas are there, the thought process is there, but the execution is either lacking or nonexistent. This drive is often tragically misplaced into an array of distractions and media consumption. Video games, Youtube, and social media are all participants in the cult of immediate gratification constantly vying for our attention. They are shorter, more instantaneous rushes that briefly mimic the same sense of reward you get in the creative process, except you aren't actually making anything, you're simply consuming. In small doses it's ok to consume to get inspired, but when it becomes an obsession then it becomes dangerous to the drive to create. Those little adrenaline hits start to make larger projects, such as a drawing that takes a few weeks or a professional project that could take years to make a reality, seem much less exciting. Why spend hours and hours to get the same sense satisfaction? Why spend so much time struggling to figure something out when you can get that same sense of reward by opening up Instagram? The important thing to remember that digital gratification is a false illusion. The work isn't yours and you don't see the years of hard work of blood, sweat and tears that went into making that amazing photo or 20 minutes of video. Be conscious of media consumption and don't let it eat up time spent on what really matters: making. 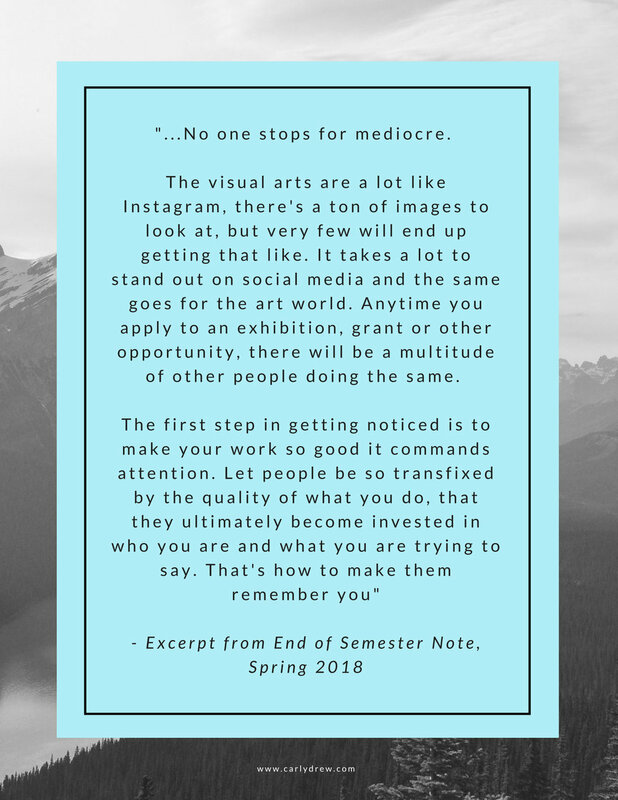 With that said, at the end of each semester I always write a note of advice and encouragement to my students that are based on my observations throughout the past few months and since school starts back this week, I thought it'd be good time to post an excerpt from one of these notes. A lot of young creatives stop before they even get started and I hope this will help inspire students starting classes this month to keep their eye on the prize.